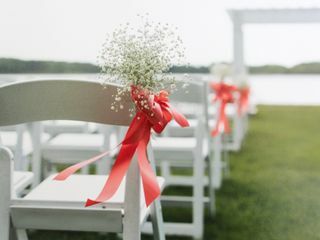 Getting the right flowers for your wedding can be one of the most difficult and expensive steps towards prepping for your special day. However, thanks to Nancy and her company, the Flower Girls, it couldn't have gotten any easier or more affordable! She took care of every detail with ease and great communication. From the flower package, to the color of the ribbon, she showed both talent and expertise in creating the perfect wedding flowers for me and my wedding party. The quality of her flowers cannot be paralleled. My bouquet was not only gorgeous, but fresh, resilient, and looked beautiful the entire day through the ceremony, pictures, reception, etc. Lastly, Nancy is a joy to work with and a gem to know. She has a passion and energy for what she does and it shown through in her efforts and delivery. We were truly blessed to have the opportunity to work with her. Flower Girls did a fantastic job, they are very creative, were on budget and on time ! Highly recommended ! Roger...thanks so much for the review! You and Sidney were great to work with...have a fabulous life! What a Pleasure to work with Nancy Earle and her Staff! Nancy and company were just great! In the beginning we had a few ideas but really didn't know what we were doing, in the end Nancy took those ideas and perfected them with her artistry and creativity and did it all for a budget we could afford. We can't recommend Nancy highly enough...you won't be sorry working with Flower Girls! Flower girls is a very professional company. They did outstanding work on my wedding flowers. 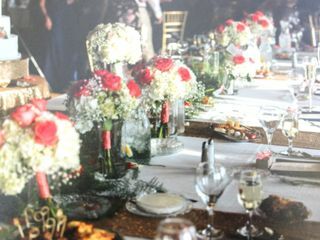 They made beautiful arrangements that blended in with everything that my flower girls and i were wearing. The arrangements were very natural and showed their quality of work. I would recommend them for any wedding or social event. The delivery was on time and there quality was great. Nancy was incredible to work with! She saw my vision and the flowers were STUNNING!! Everyone commented on how beautiful they were! She went above and beyond!! We couldn't be happier! Nancy was great and my bouquets were lovely. We had some miscommunication with the invoice but she was able to fix everything last minute! It meant so much that she cared and made sure everything she could do was perfect! Thank you again Nancy and the florists at Flower Girls. For any couple considering Nancy Earle at Flower Girls, don't even second guess yourself! She does an AMAZING job! She's on top of it, as well as reasonably priced which is a major plus. She took my pinterest thoughts and brought them to life. The arrangements were 10x better than what I had imagined! I will definitely use her again for any other event I have. Nancy is great to work with. The word no is not in her vocabulary, she's is so creative, easy to work with and her end results exceed anyone's expectations. She is a wonderful florist!!!! You won't be disappointed! 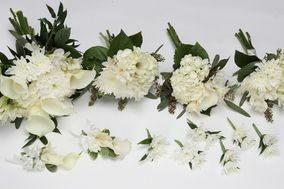 Originally I was going to make my bouquets myself for the wedding. However, last minute items started to build up and I decided to order my flowers. 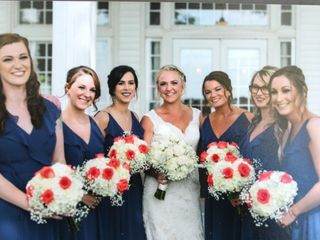 It was last minute, only a few days before the wedding and Flower Girls were so accommodating and even called to see if I wanted any special touches done with the bouquets. I would definitely recommend them in the future! Great Value and the flowers looked amazing! Nancy did a fantastic job! The flowers were beautiful, and we received so many compliments from our guests. Great professionalism and promptness! We can't say enough about Nancy and Flower Girls! Everything was perfect, the flowers, the delivery and the overall responsiveness were terrific.